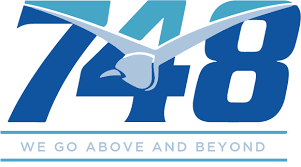 748 Air Services Ltd is an air charter company that holds an Air Operator Certificate and an imbedded Aircraft Maintenance Organization; both authorized by the Kenya Civil Aviation Authority. Since its inception, 748 Air Services has grown into one of the most reliable Air Charter Companies in the region, catering to the humanitarian sector as well as to the natural resource sector and government institutions. The primary business of 748 Air Services is the provision of air charter services for passengers and cargo. Our proficient and professional staff together with our versatile aircraft fleet enables us to meet all air transportation requirements, be it the expedient delivery of cargo or the safe, comfortable transportation of passengers. We take great pride in our quality service delivery to our clients, which has resulted in their continued support throughout the years. Yesterday's marketers thought that the most profitable skill was the ability to find new customers but today's understanding is different – keeping, expanding, growing and understanding the ever changing needs of current and new customers is key. Humanitarian-748 Air Services was initially founded with the intention of providing valuable services to the humanitarian sector. To date, we continue to service the needs of the humanitarian sector in different hardship regions in the East and Central Africa by providing air delivery of: Emergency Food and Supplies, Emergency extraction of personnel in conflict areas, Development supplies and support equipment. Natural Resource -748 Air Services Ltd has also catered to natural resource sector, specifically oil and gas clients. Our clients have included; Petroleum Geo-Services (PGS), Dar Petroleum Operating Company (DPOC), and Greater Pioneer Operating Company (GPOC) among others. Government/Private -748 Air Services Ltd continues to provide fast, reliable transportation for the various governments in the areas of operation. We are able to make aircraft available on demand without any of the hassles involved with conventional airlines and are thus able to provide this sector with the service and speed they require.